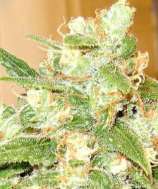 Here you can find a strain description about Iced Grapefruit and also some user-based reviews and infos directly from the SeedFinder (if available). You can also find the offers and auctions here if Iced Grapefruit cannabis seeds are on stock at MyCannapot right now. Whilst experimenting in 2004, Ferry produced this most interesting cross. It was launched to great acclaim in 2005. The perfect marriage between our Grapefruit and ICE. The Iced Grapefruit is the perfect mental painkiller. Where pharmaceutical antidepressants numb feelings, our Grapefruit cannabis makes people feel happy and enlightened, just like a classic Sativa. The ICE, being one of the strongest cannabis strains in the world, is more of a physical heavy bodied painkiller. The Iced Grapefruit holds some very promising prospects with a wide range of medical effects of the parents. Choose your own perfect keeper based on the particular medical traits you are looking for. The Iced Grapefruit has two phenotypes: the first more Indica inclined with a shorter stature yet with a Sativa bud structure and large calyxes. This pheno is loaded with resin. The second phenotype is slightly taller and more Sativa looking. Overall, the Iced Grapefruit produces dense buds with a high calyx to leaf ratio. Iced Grapefruit can display some pink to purple hues at the end of flowering giving it an excellent bag appeal. hempi Sehr schöner Strain und ist bei mir früher fertig als angegeben! Buy Iced Grapefruit now at MyCannapot!